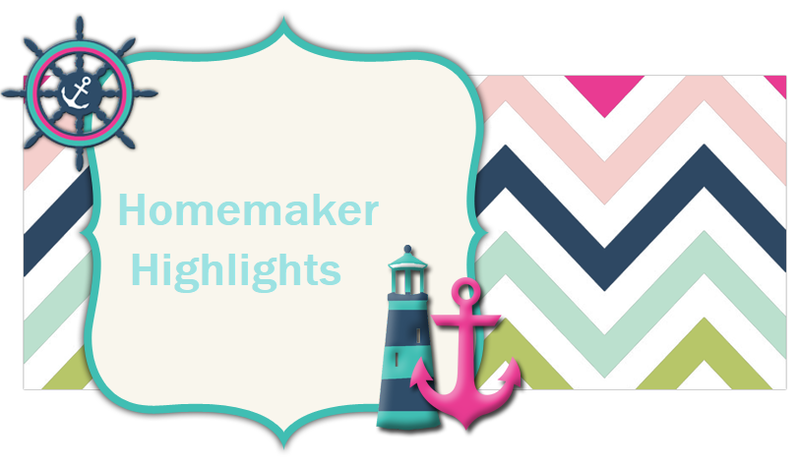 Homemaker Highlights: Thrift store finds for this week. Thrift store finds for this week. The beginning of our trip to the thrift store. 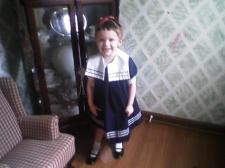 I bought her this dress a little while back for 2 or 3.00. I can not quite remember. 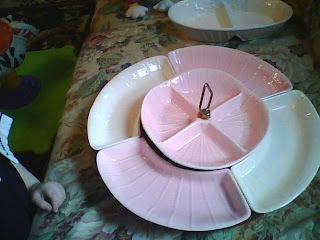 I have ALWAYS wanted a lazy Susan. 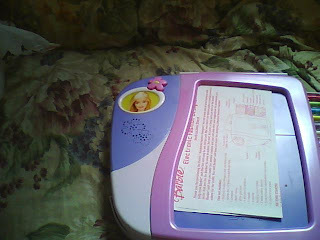 I got this one for 5.00. 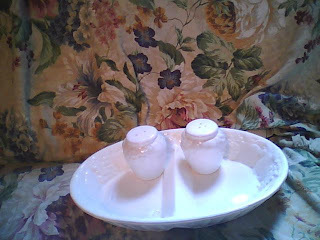 Decorative plate and salt/pepper shakers 2.50. She loves Mickey mouse and Minnie mouse. 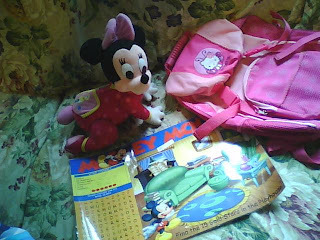 Place mat was .10, doll 1.00, and this cute hello kitty back pack was 2.00. 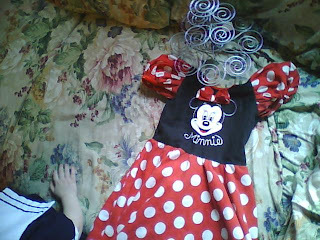 Of course we had to get this Minnie dress for dress up and I have a feeling, as with the Elmo shirt, she is going to want me to wash this every day to wear:) Dress 1.00 and a cute cupcake stand I have been wanting 3.00. Two happy gals back with goodies. I got a gap shirt for 1.00 and another long sleeve shirt for 1.00 (not pictured). 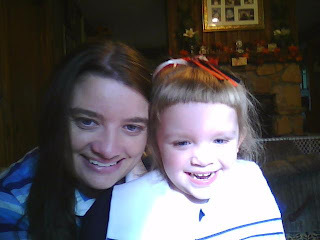 So we are going to have a fun night eating out as a family and then, depends on if her Poppa gets back in time, she will be going to her Poppa and Memaws. So I know we have to get the groceries for the two weeks and we will probably look around in a local book store here. So we are just sitting back waiting on Daddy to come on home. So since my budget is pretty much gone on this thrift store trip. No yard sells tomorrow. But, on the other hand I maybe sleeping in. So who can complain?